Our coaching team hold up-to-date First Aid/CPR certificates and Working with Children checks. 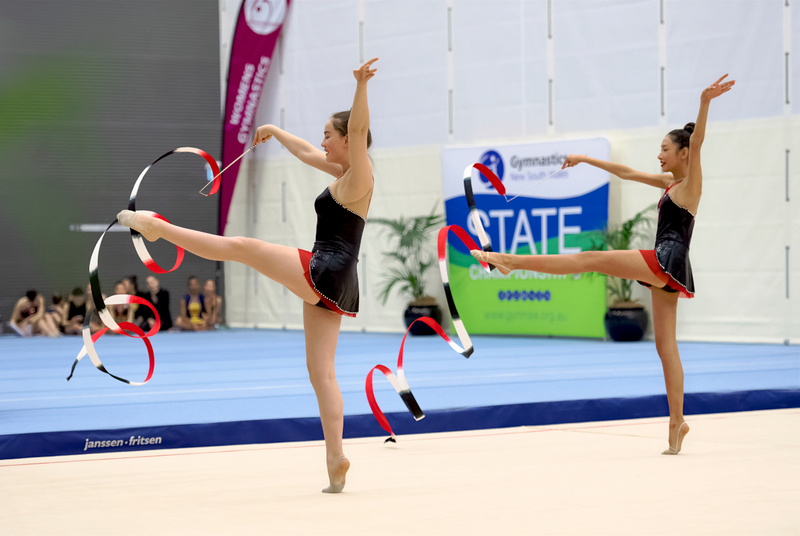 Our gymnasiums are also fitted with Rhythmic Gymnastics matting and certified equipment. Rachel Weiner has been involved in Rhythmic Gymnastics for over 20 years as a gymnast and has been Principal and Head Coach of Club PERÓ since 2012. Rachel's quintessential philosophy is to bring out the very best in each and every student. Rachel is a Gymnastics Australia High Performance Rhythmic coach and Advanced Silver Rhythmic judge. She has successfully completed the FIG Level 3 Academy in Rhythmic Gymnastics coaching in 2018. Rachel is also an accomplished dancer/choreographer and certified barre instructor. "Rachel is very encouraging and has an understanding of where my daughter is. She is an excellent motivator and her leadership at SCEGGS sessions has been superb, in regards to both teaching Rhythmic Gymnastics skills and pastoral care." "Club PERÓ has given my daughter loads of confidence and motivation. The teachers are all hand-picked and unique in what they do. They are passionate and love the kids as if they were their own." 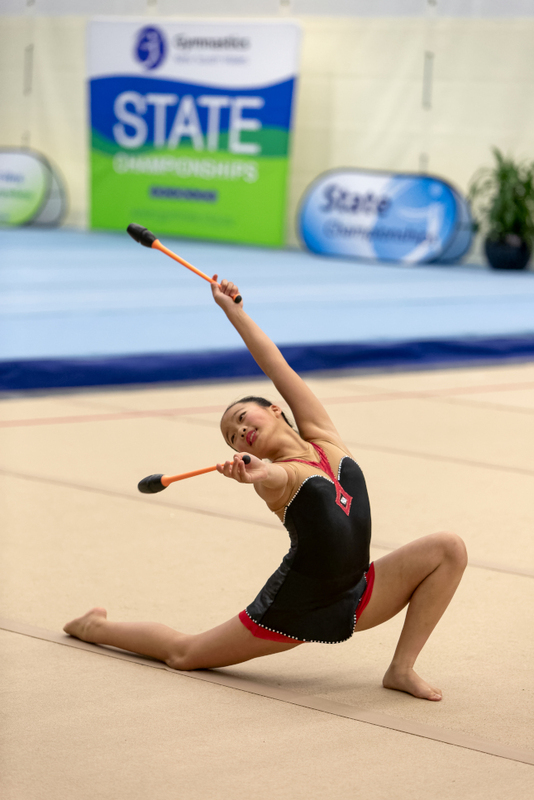 Our Rhythmic Gymnastics programs are held at three locations in Sydney: SCEGGS Darlinghurst, TARA Anglican School for Girls in North Parramatta and Tangara School for Girls in Cherrybrook. We offer Foundation and Competition streams with classes to fit students of all ages. Our programs are aimed at developing strength, flexibility, hand-eye coordination, spatial awareness and music appreciation with Rhythmic Gymnastics apparatus including Rope, Hoop, Ball, Clubs and Ribbon. Our Foundation stream is designed to introduce students to the foundations of Rhythmic Gymnastics. Students develop body control and apparatus coordination and have the opportunity to perform in displays, open classes and our annual end of year concert. 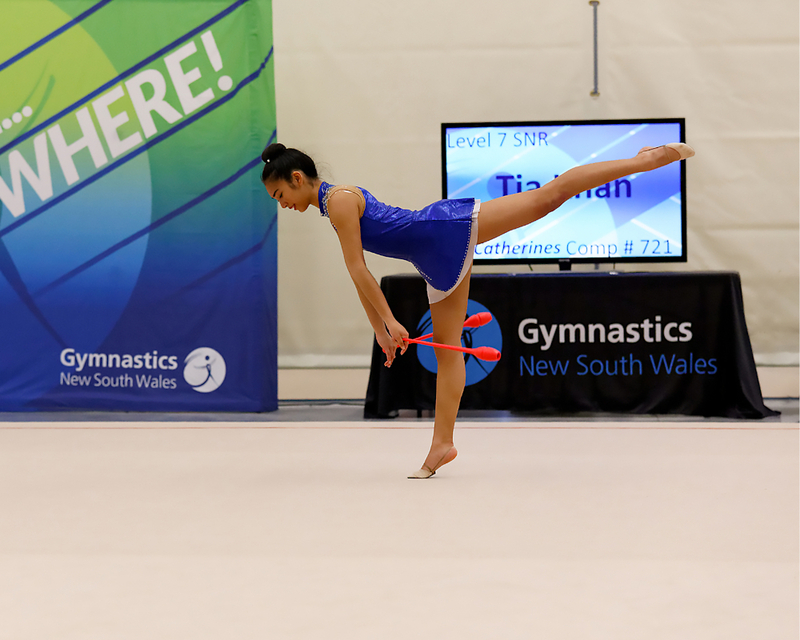 Our Competition stream (based on the FIG and Gymnastics Australia National Levels Program) is designed to encourage students suited to competitive Rhythmic Gymnastics. Students at this level refine their body and apparatus skills for invitational, state and national competitions. Students also perform in displays, open classes and our annual end of year concert. The Competition stream is by invitation or selection ONLY and is a full year commitment. Our Holiday program is full of fun-filled activities for new and enrolled students. New students are welcomed to the world of Rhythmic Gymnastics, while enrolled students maintain their momentum outside of School term time. Workshops include: classical ballet, dance technique, music selection, choreography training, how to understand judging criteria and leotard design. "My daughter loves coming to Rhythmic Gymnastics. After the class she is all smiles and laughs and singing in the car on our way home. She loves going to ballet but I have never seen her in such good spirits after a dance class. We are very grateful to you for helping us find this side of her." Click HERE for the venue details at this location. Our Tangara School for Girls location is open to students from the school only. What are the School term / Holiday program dates? Are classes held on public holidays? We do not hold classes on public holidays, unless specifically scheduled. Class dates are subject to School term dates. All parents and guardians will be notified prior to the School term / Holiday program if date changes occur. Can my daughter attend a trial class? We do offer one casual trial lesson. This is available to non-school students from the wider community for school term programs only. This is also subject to class availability. One casual trial lesson is charged on a casual class rate. What age groups do you offer classes for? We are open to students aged 4-25 years old. Please contact info@clubpero.com.au to discuss the age appropriate classes for you or your daughter. What does my daughter wear / bring to class? Can my daughter share her food during break time? We request that students do not share food at break time as we have students with food allergies and intolerances. We would appreciate if you could remind your daughter before training sessions. What happens if I am running late to pick up my daughter? We understand that parents and guardians may run 5-10 minutes late. It is imperative that your daughter is picked up on time. If you are running more than 10 minutes late, please send through a text message to Rachel on +61 405 631 397 with your name, your daughter's name and your approximate time of arrival. Where can I find a copy of the latest term newsletter? For currently enrolled students, if you have not received a term newsletter by mid-term, please contact info@clubpero.com.au. If I miss a class, can I attend a make-up class? Please refer to the latest term newsletter (as sent to your preferred email address by Club PERÓ upon your daughter's enrolment) regarding our make-up class policy. What is the fee policy? Please refer to the latest term newsletter and cost sheet (as sent to your preferred email address by Club PERÓ upon your daughter's enrolment). Am I allowed to visit the locations? There are no permitted visits to our venues without making an appointment. Please contact info@clubpero.com.au for further information. Can I watch my daughter's class? Parents and guardians may view the last 15 minutes of their daughter's class. We kindly ask you not to stand or sit near the training floor, as this can often be distracting to the students and coaches. Can I speak with my daughter's coach after her training session? We understand that parents and guardians may wish to discuss their daughter's progress on occasion with their primary coach. However, we encourage you to contact us at info@clubpero.com.au to pass on this enquiry. We ask that parents and guardians be mindful not to take up class time to have individual conversations with your daughter's coach, as many of our classes run back-to-back and our focus is of course your daughter's learning. Am I allowed to photograph and video a class? In the interest of protecting the privacy of our students, we cannot allow any classes to be recorded or any students to be photographed without prior written consent. You are however welcome to responsibly film or photograph your daughter during club-related events. What is the policy for photography at club-related events? 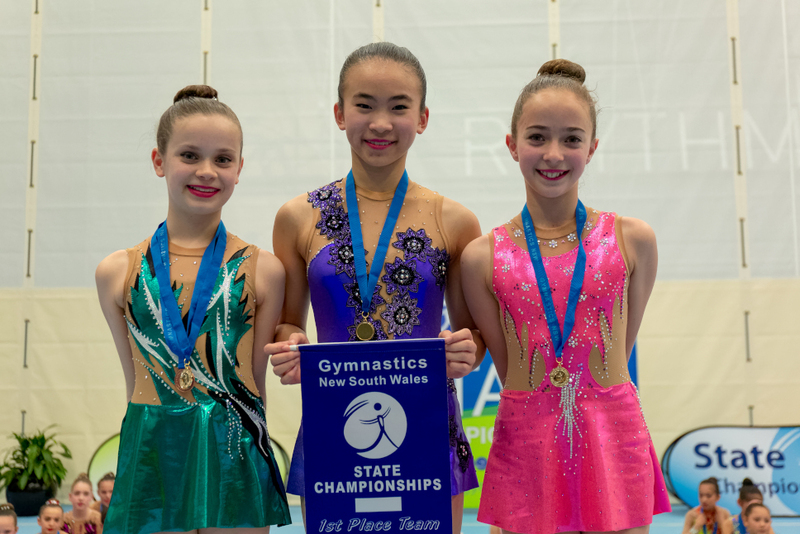 Throughout the year, your daughter may have her photo taken at Club PERÓ specific and/or Gymnastics Australia & NSW events, displays and competitions. Such photos may be used on the Club PERÓ website and other publications. It is Club PERÓ's policy not to use a student's name (or personal information such as their residential address, email address or telephone number) in photographs. However, in the unlikely event that a name may be required, Club PERÓ will only do so with the formal written permission from the students' parents or guardians. Please notify Club PERÓ in writing, if you do not wish to have your daughter's photo taken. How does Club PERÓ communicate with parents or guardians? Our primary means of communication is by email and mobile phone. If you are unable to provide us with such details, it is likely that you may not be informed of any sudden changes. We respect your privacy. All personal information given to Club PERÓ is entirely confidential and is not available to any other person or organisation except Gymnastics NSW. What is the club's code of conduct? Click HERE for Club PERÓ's code of conduct. This governs our coaching practices. Please familiarise yourself with the appropriate behaviour we instill and seek from all members of our community. Coaches Mikki, Emma and Giulia receive their Intermediate Coaching accreditation. New Gymnast of the Year: Nikita Jordan (SCEGGS) and Eliannah Minihan (TARA). Alexandra Slater (Level 8 Senior) placed 4th in Clubs. 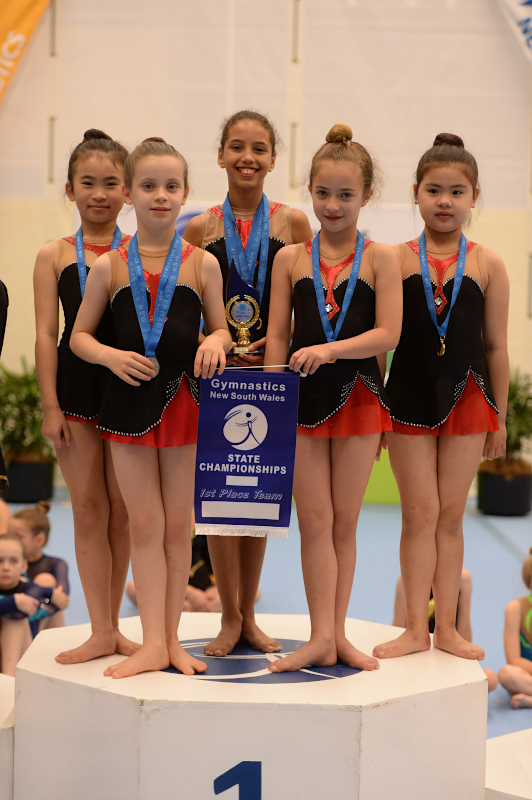 Level 6 Junior Team (Cassandra Davies, Sally Webster and Janice Ye) placed 1st overall. Ingrid White (Level 4 Junior) received a Silver-Level assessment. Alexandra Slater (Level 8 Senior) placed 2nd in Freehand, 5th in Ball, 2nd in Ribbon and 4th overall. Alexandra Slater (Level 8 Senior) placed 5th in Ball. Alexandra Bounds, Nikhita Grover and Eliannah Minihan (Category 4 Ribbon Trio) placed equal 5th overall. Head Coach Rachel and Coach Anastassiya receive their Advanced Judging accreditation. New Gymnast of the Year: Emily O’Shea (SCEGGS) and Nikhita Grover (TARA). Raelene Wang (Level 3 Sub Junior) and Elizabeth Collins (Level 4 Sub Junior) received Silver-Level assessment. Laura Davies (Level 6 Sub Junior) placed 6th in Clubs. 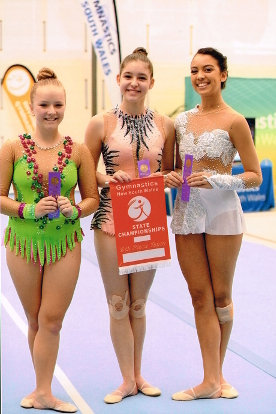 Mali Alexiou, Aisha Imtarnasan and Leilani Hunt (Category 4 Ribbon Pair) placed 4th overall. Stephanie Peacock (Level 7 Senior) placed 6th in Clubs. Alexandra Slater (Level 6 Senior) placed 6th in Clubs and 2nd in Ribbon. 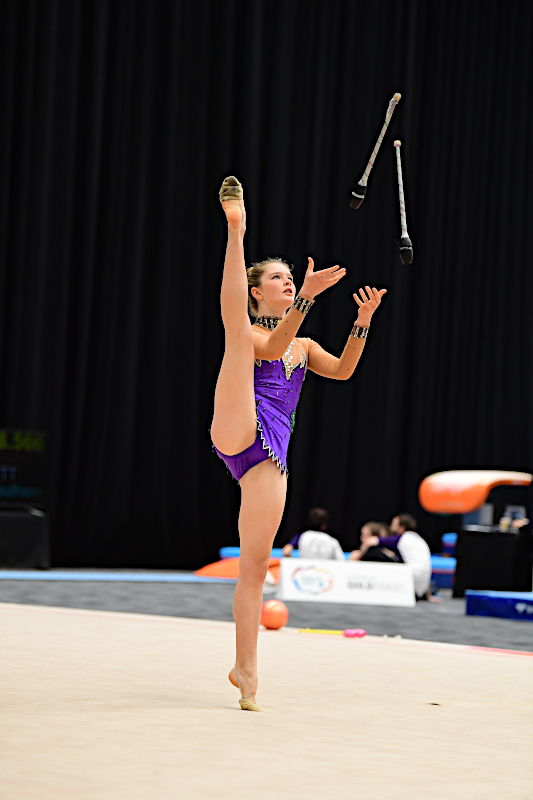 Belinda Nixon (Level 10) placed 5th in Hoop. Belinda Nixon (Level 10) placed 6th in Ball. Senior Gymnast Jesse and Coach Rebecca receive their Beginner Judging accreditation. New Gymnast of the Year: Imogen Zimmerle (SCEGGS) and Raelene Wang (TARA). Leilani Hunt (Level 5 Senior) placed 6th in Hoop. Level 5 Sub junior Team (Laura Davies, Hanna Kebede and Sally Webster) placed 3rd overall. Sophie Palmer (Level 6 Senior) placed 5th in Ball, 5th in Ribbon and 6th overall. Sophie Palmer (Level 6 Senior) placed 6th in Ball and 6th in Ribbon. Belinda Nixon (Level 9 Open) placed 8th in Rope and 8th Hoop. Level 7 Open Team (Natasha Hopman, Jesse Kidd and Alexandra Slater) placed 6th overall. Belinda Nixon (Level 9 Open) placed 6th in Rope. Belinda Nixon (Level 9 Open) placed 4th in Hoop, 5th in Ball and 4th in Clubs. Coaches Katya and Anastassiya receive their Intermediate Bronze Level Judging accreditation. New Gymnast of the Year: Themelina Mihailou (SCEGGS) and Aviva Ellis (TARA). 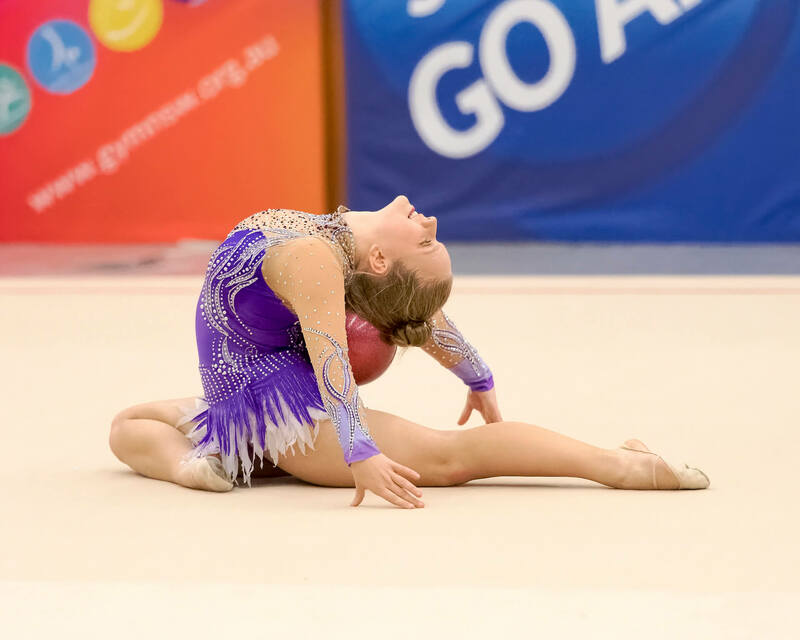 Stephanie Peacock (Level 6 Senior) placed 3rd in Hoop and 6th overall in NSW in 2015. Level 6 Senior Team (Jesse Kidd, Natasha Hopman and Stephanie Peacock) placed 1st overall. 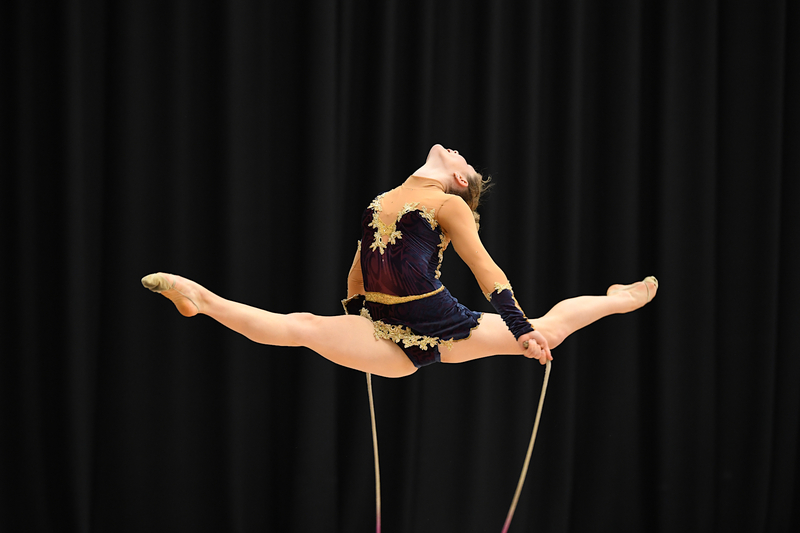 Natasha Hopman (Level 6 Senior) placed 6th in Hoop, 2nd in Ball, 2nd in Clubs and 4th overall. Jesse Kidd (Level 6 Senior) placed 5th in Ball. Belinda Nixon (Level 8 Open) placed 1st in Rope and Ribbon, 2nd in Ball, 3rd in Hoop and 2nd overall. Belinda Nixon (Level 8 Open) placed 6th in Ball and 6th overall. Belinda Nixon (Level 8 Open) placed 6th in Hoop and 7th overall. Fill out the 'join us' form below. Upon receiving your enquiry, we will contact and assist you with the program that best suits your daughter. "Love your Club: Your attitude towards each student whatever their level, your dynamism, your every training day 'smile'. The girls and their results are a true reflection of you and your team." Many of our classes have a waiting list. If you are interested in a class with a waiting list, we are happy to take your name. As soon as there is an opening, we will be in touch. This includes changes to training days later in School terms. Club PERÓ is an amazing place to work. We have developed a working environment which is creatively and physically challenging, as well as administratively and technically disciplined. 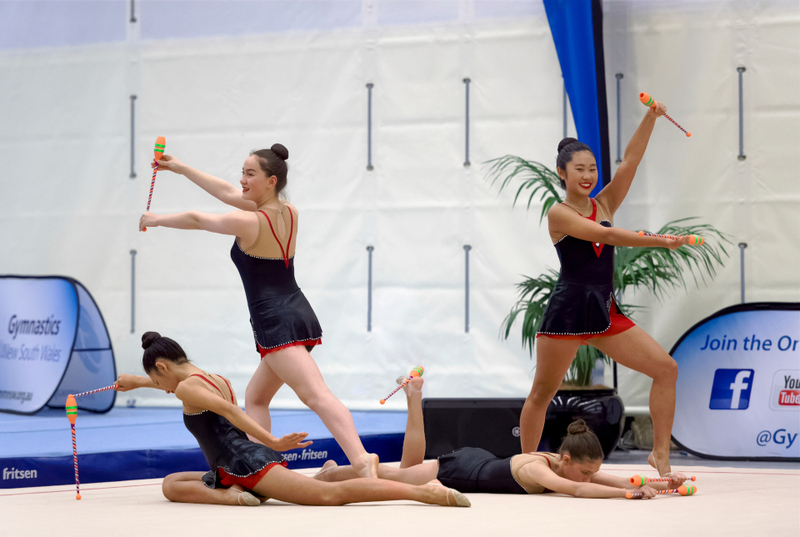 Coaching positions exist in both Foundation and Competitive Rhythmic Gymnastics. Please contact info@clubpero.com.au to express your interest. We would like to remind you that our classes are run on weekday and weekend afternoons and we may not be able to take your phone calls from 3.00pm onwards. Classes are held at three locations in Sydney. "Club PERÓ is a fantastic place where my daughters' have been able to learn new skills, enjoy the sport of Rhythmic Gymnastics, keep fit and all in a very supportive and encouraging club environment!" Copyright © Club PERÓ 2019. All rights reserved.